“The Bird Sanctuary” is the name tenants have for the third floor room of the Clifton Hotel where an unsealed window opens the way to roosting pigeons. This is just one of the many maintenance issues left unchecked at the Granville Street building. Now, all forty tenants of the Clifton hotel have received eviction notices from the landlord, requesting vacant possession of the units for renovations. The tenants are fighting the notice with a joint dispute resolution application to the Residential Tenancy Branch. The Clifton, at 1125 Granville has previously received attention for a complete lack of maintenance on the part of the landlords, partners Yahya Nickpour (who owns other properties in the DTES including the Chelsea Inn) Abolghasem Abdollahi, and Zohreh Fazl-Mashhadi. This past March, The Clifton had the highest number of bylaw infractions of any rental property in Vancouver. A number of safety code violations, such as emergency exit blockages and a faulty alarm system, means that the building is currently unsafe for the tenants who live there. The build up of issues already led to one electrical fire in the spring of 2013. The city’s response last July was to file a court injunction to force the landlords to make repairs. According to the city’s communications department, this led to a consent order, which means that the landlords entered into an agreement with the City stating they would apply for the necessary repair permits by the end of August. The landlords then have two years to fix the already overdue bylaw infractions, which have been allowed to accumulate since they bought the property 5 years ago. Now, all current tenants will be evicted at the end of this month, on June 30. This comes after years of speaking out about the maintenance issues. One tenant, Francis Filimenti, explains that he had begun taking on the role of maintaining public space, such as washrooms, and that other tenants had followed suit. 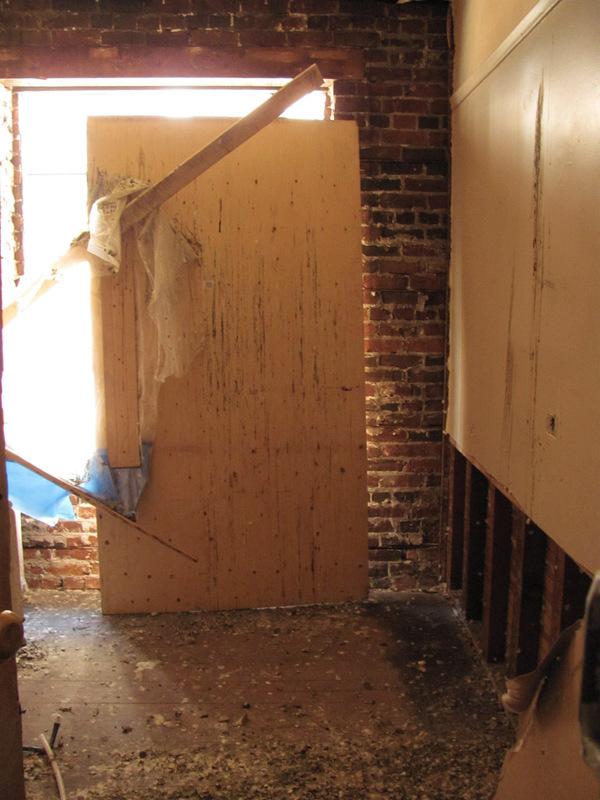 Extensive renovations often lead to evictions for low-income tenants, as landlords who decide to renovate a building can make a case for needing the units vacant. The Residential Tenancy Act contains no protections for current tenants in these cases. The result of the City’s court action isn’t a solution for the tenants who currently live there, who will not benefit from the renovations. Instead, they will likely be pushed into another badly maintained hotel or out onto the street. For this reason tenants and advocates are calling on the city to defend the right of the current residents to stay in their homes. One option is to use the Standards of Maintenance Bylaw to make the repairs and bill the owner. This was partially enacted last summer when the City hired staff at the owners’ expense, to occupy the building as part of a 24-hour fire watch while it took over two months to repair a broken fire escape. In March this year, City councillor Geoff Meggs was quoted in an article about The Clifton saying that sometimes bylaw infractions aren’t cleared up for “legitimate reasons.” “That’s the kind of case where you have to be patient,” he said. The City’s response to the rash of outstanding maintenance issues in Vancouver has been to create a database of properties with tenant complaints on file, depending on the pressure alone to spur landlords to make the changes. However, the city seems to be reluctant to fully implement the Standards of Maintenance bylaw, and force through all the necessary repairs. Filimenti explains that the landlords had originally purchased the building as a tear-down and then found out that the heritage regulations meant that this wasn’t possible. While he says he’s seen city inspectors regularly come through the building, nothing gets done. “They’re 2 years behind the ballgame,” he says. Posted in Housing, News. Bookmark the permalink. How is the owner supposed to fix up the building with people living in it? Yeah, I second that. This is stupid; they need to renovate somehow.